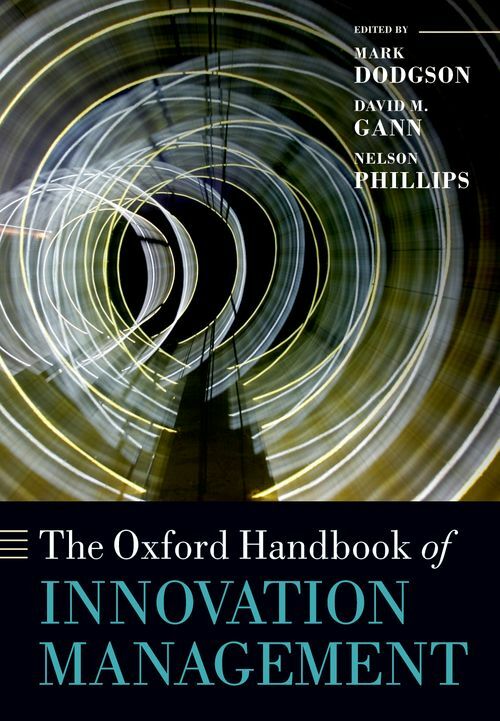 The Oxford Handbook of Innovation Management offers a comprehensive and timely analysis of the nature and importance of innovation and the strategies and practices that can be used to improve organizational benefits from innovation. Innovation is centrally important for business and national competitiveness, and for the quality and standard of living around the world, but it does not happen by itself. For innovation to succeed, it needs to be properly managed. With contributions from 49 world-leading scholars, the Handbook explores the many sources of innovation, the broader social, economic, and technological contexts that encourage and constrain it, and the cutting-edge strategies and practices of innovation management. The book addresses the traditional concerns of innovation managementDLsuch as managing R&D, intellectual property, and creativity, and the contributions of science and marketingDLbut substantially extends traditional areas of interest. In this new volume, chapters examine emerging topics including design, social networks, open and social innovation, and innovation in business models, ecosystems, services, and platforms. The book explores the importance of innovation management for environmental sustainability, and its evolving nature and practice in Asia. Written in an accessible style, and with carefully selected bibliographies and a comprehensive index, the Handbook offers a uniquely authoritative and wide-ranging source of knowledge about innovation management. Each chapter identifies key issues and reviews the most important research findings. Future research questions are identified. The Handbook will be invaluable for students and faculty studying, researching, and teaching innovation, and for managers seeking to improve innovation outcomes in their organizations. Mark Dodgson is Professor and Director of the Technology and Innovation Management Centre at the University of Queensland Business School. Prior to joining the University of Queensland he was Executive Director of the National Graduate School of Management at the Australian National University. He has produced 12 books and over 100 academic articles on innovation, and has researched and taught innovation in over 50 countries. He is a member of the Board of two companies with multi-billion pound annual sales. His research interests address the changing innovation process and its consequences for management and government. ; David M. Gann is Professor of Technology and Innovation Management and Vice President, Development and Innovation, Imperial College London. He was previously head of Innovation and Entrepreneurship at Imperial College Business School. He has published many academic articles, reports and books on innovation. He has been Group Innovation Executive of a multi-national engineering and construction business and has co-founded four start-up ventures. His research interests include the use of digital media to support design and innovation processes, about which he advises technology companies and governments. ; Nelson Phillips is Professor of Strategy and Organizational Behaviour at Imperial College Business School in London, UK. Prior to joining Imperial College London, he was the Beckwith Professor of Management at the University of Cambridge and Associate Professor in the Faculty of Management at McGill University. Originally from Canada, he completed his PhD in Organizational Analysis at the University of Alberta in 1995. His research interests include institutional theory, organizational discourse analysis, the impact of technology on organizations, and the management of innovation.